Dawson Vosburg - author: Blog: Day 22: Special Guest Blogger Stacey Cochran! Day 22: Special Guest Blogger Stacey Cochran! Dawson, thanks so much for hosting me today on your blog. As you know I’m in the middle of a 45-day blog tour to promote my new novel CLAWS, and it means a lot to me that you’d make space for me today. So I want to make this worth your (and your readers’ time). I’d like to talk today about Amazon Kindle. In the past 48 hours, CLAWS and The Colorado Sequence have broken onto several bestseller lists on the Amazon Kindle. As I’m writing this at about 5 PM Wednesday, CLAWS is currently ranked #21 overall in the Kindle “Action & Adventure” category, #20 in the “horror” category, and #84 in the “suspense” category. You can see from some of the other names that I’m suddenly on charts next to Stephen King, Dan Brown, John Scalzi, Frank Herbert and other heavy hitters. So what the heck is going on? How did a little known self-published author like me get his book ranked with legends like these? First, I should say that Amazon rankings fluctuate a lot, and my books could easily be gone from the charts in a few days. With that disclaimer in mind, there’s a couple things contributing to this recent surge. First up, the books are at price points that are very economical. 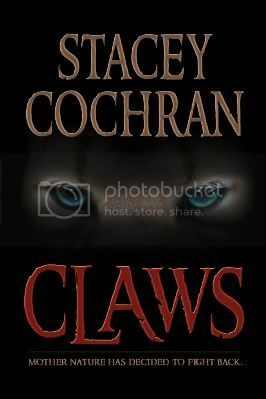 TCS is currently for sale for 80 cents and CLAWS is listed at $1.59. Compared to better known authors whose books are listed for 10 dollars or more, this makes my titles competitive. Secondly, the book covers look pretty good, and I’ve got fairly good reviews and a good description for each book. Kindle buyers see the books and think they’re worth giving a shot. Thirdly, I started a single thread on the Kindle Discussion Forums titled “Books Under 2 Bucks,” and I encouraged folks to list examples of good books they’ve read on the Kindle that cost less than 2 dollars. This post has stayed fairly high on the discussion board, and I think is most directly the reason for why I’ve sold nearly 150 books in two days. Fourth, Kindle consumers are sick of major publishers gouging them for 10 dollars (or more) and so they seem to be throwing their support behind little guys (like me) who have a good looking book at a competitive price point. This sentiment is driving a bunch of sales, I think. Fifthly, Kindle buyers want books. They are the most die-hard book fans on the planet, and they’ve just shelled out 359 bucks for a digital reader… and so they want books that they can read. A book for 80 cents seems practically free after purchasing the reader for 359 dollars. Sixthly, it’s too soon for me to know this except by way of a hunch, but once you start hitting a few bestseller lists, your book will become viral. That is, other folks are finding it on bestseller lists and linking to it on their sites. The longer you can sustain a high ranking, the more visibility you’ll have, and the more viral your book will be. Like I say, I don’t know long it’ll last with my books. Sales may drop of precipitously by the weekend for all I know. What I really need are a few more positive and sincere reviews. I think the reviews really contribute to convincing folks to purchase the books. Nonetheless it’s been a very exciting few days. It feels a little bit like emotional surfing. I just hope they roll the Kindle out in the UK soon. It's still not out in the UK yet? Wow. That's, like, a major oversight. Thanks, Becky, for reading! Hope you guys get the Kindle soon!! Stacey, I recently read on another blog that there's a problem w/ POD formatting and the Kindle conversion -- in other words, the formatting gets pretty screwed up when it goes to Kindle, and in some cases can look like the book was very poorly edited. The blogger was recommending authors w/draw from Kindle sales. I think that's too harsh a reaction, but have you heard of any such complications w/ either of your books? You just have to make a very bare-bones formatting. Delete all the unnecesary extras like headers and footers and page numbers. It's not actually an oversight. It's a technical issue - the wireless system used by the Kindle is not compatible with the UKs mobile phone network - and a mishmash of legal issues. And in the meantime Sony have teamed up with Waterstones (the largest bricks and mortar booksellar chain in the UK), and if Amazon don't get their act together soon they may find themselves with more competition than expected when they finally do sort something out. At the moment people like me are waiting for Kindle, but if it stays away I may have to look at buying a sony one. Ah. That's too bad for Amazon! Hope they're able to get it ready soon.